Here in the UK we are lucky enough to live in a culturally diverse society, where we can generally wear whatever we want. However, in the workplace, employers are allowed to exercise an element of control over their employees where it is necessary for legitimate business reasons. All employees have the right not to be discriminated against on the grounds of their religion or belief. An element of a person's religious belief may be that they should wear a particular piece of clothing or jewellery, such as a veil or cross on a necklace. If a company dress code prevents them from wearing such an item, they may feel that they have been discriminated against on the grounds of their religion. An employer may feel that they are not discriminating against a particular employee if a dress code applies to all of its staff and therefore the same rules apply to everyone, no matter what religion they are. However, employers should be aware that a standard policy could still give rise to an indirect discrimination claim if an employee's request is not fairly considered. Indirect discrimination can occur when an employer applies a rule or policy to all employees, such as a dress code, which disadvantages employees of a particular religion or belief. To avoid a claim, the employer would need to show that the imposition of the dress code is a proportionate means of achieving a legitimate aim of the business or organisation. Part of the debate around the wearing of niqabs and burqas concerns whether this is a requirement of the Islamic faith or whether it is instead a cultural belief only. This question is not relevant to an employer's decision about whether an employee may wear a face veil at work - you are not expected to be an expert on religion! For employment law purposes, to be protected, a religion or belief does not need to be a mandatory requirement of an established religion . The question is whether the employee's belief that the wearing of the garment or piece of jewellery is a necessary or important part of their religion or belief is genuinely held. The difficult balance which employers must seek to achieve is to balance the employee's freedom to manifest his or her religious beliefs versus the freedom of the business to impose a dress code which applies to all staff. 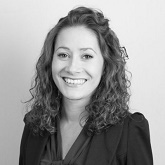 Amanda is an employment law specialist at Fisher Meredith and has experience of advising on all aspects of the employment relationship. Amanda is a member of the Employment Lawyers Association and author of the chapter on Agency and Temporary Workers in the Workplace Law Handbook 2012.